Brinicles are the underwater equivalent of icicles. 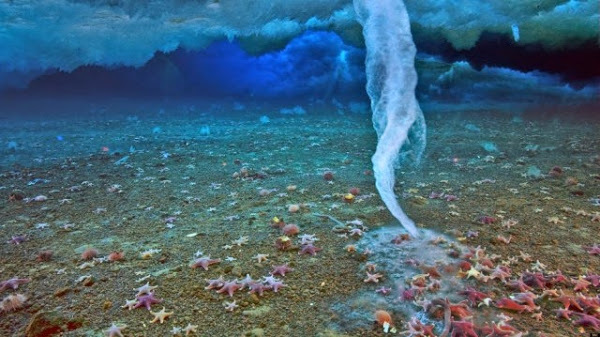 They form beneath ice when a flow of saline water is introduced to ocean water. 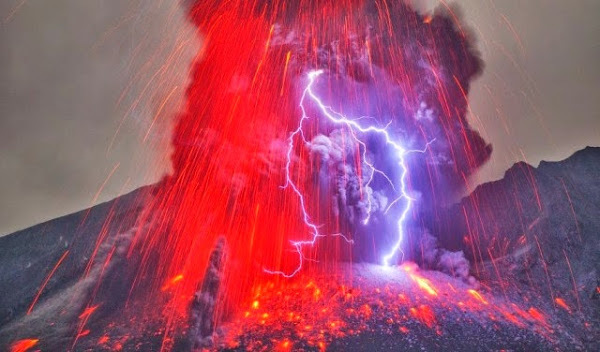 Volcanic plumes produce immense amounts of electrical charge and static. In rare cases, this can spark a violent lightning storm. 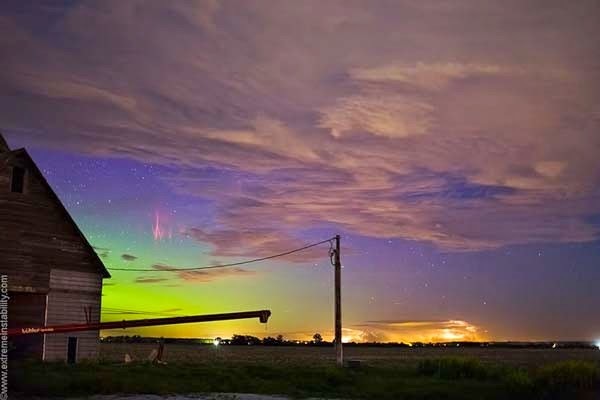 These colorful shapes are the result of electrical discharges in the atmosphere. Source: Wayne Dahlberg on Twitter. Hat tip to Mike the Mad Biologist. Hat tip to KeldBach’s Journal. This informative 1991 documentary film about Donald Trump traces the history of his business up until the bankruptcy of Trump Taj Mahal, the first of four Trump businesses to seek protection from creditors under Chapter 11 of the U.S. Bankruptcy Code. Donald is the son of Fred Trump, a successful developer in Brooklyn. Part of his success, as the documentary shows, is due to the Trump family money. Part is due to Donald Trump’s use of his father’s name to obtain political influence and to get use of other people’s money. The documentary shows Trump was a talented and successful deal-maker. It shows he was an even more successful salesman and promoter, and how that trumped (so to speak) his failure to provide good service to his tenants or to achieve sustainable financial results. The makers of the documentary write Trump off as a failure, and yet, as we now know, he bounced back and survived even more setbacks, by using his celebrity to promote the Trump brand. Is this what we Americans want in a President of the United States? It would not be a change for the better, but a doubling down on everything that has been wrong in Washington for the past 10 or 15 years—how repeated failures are hidden behind a smokescreen of denital and bluff. Update [8/8/2016] The video is no longer in the public domain, but look at the trailer. Hat tip to Upworthy and the Bill and Melinda Gates Foundation. Source: Louder Than Words via Random Fandom. I hope the lights stay on. The world has enough for everyone’s need, but not enough for everyone’s greed. I believe that, with good luck and good management, the world is capable of feeding the world’s people through the hoped-for demographic transition, when population growth levels off. But I doubt that the world is capable of keeping all of the world’s people at as high a material standard of living as I enjoy as a middle-class American, barring some breakthrough that is beyond my imagination. Of course the world is not limited by my imagination. 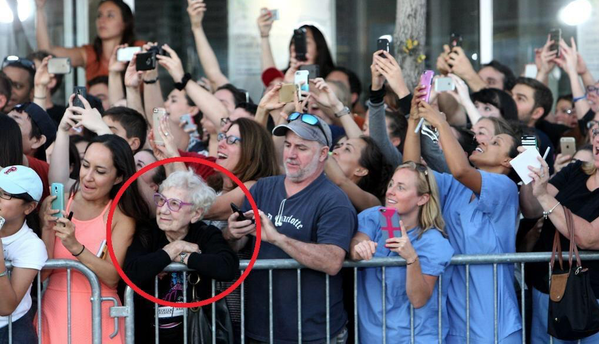 I have no way of knowing what the future will be like. Many of fears of 50 or 60 years ago proved unfounded. Maybe my present fears will prove equally unfounded 50 or 60 years from now. But, as the saying goes, hope is not a plan. Suppose things are what they seem to be. What is required to provide for everyone’s need? How much is enough? Back in the 1930s, thinkers such as Bertrand Russell and John Maynard Keynes projected that economic growth would, in the foreseeable future, provide enough so that human beings—at least those in the USA and UK—could cease striving for more and lead lives based on higher values than acquiring money. This didn’t happen because the definition of “enough” changed. I am unhappy if my Internet connection goes down for a few days. I am in acute discomfort if my gas furnace ceases to function. But I was happy as a boy without those things, and so were my parents. If you go back in history, highly civilized people such as Ralph Waldo Emerson or Samuel Johnson lived happily without electricity, indoor plumbing or private automobiles, and their contemporaries put up with pain and discomfort that people today would find unendurable. Is this the most beautiful library in the world? I like libraries and bookstores, and I like to post pictures of libraries and bookstores. 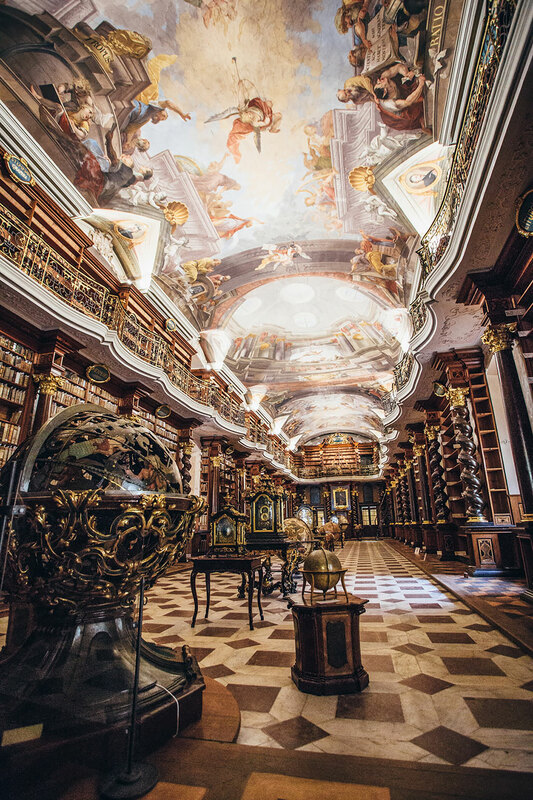 Above and below are pictures of the Klementinum Library in Prague, established in 1722 as part of the Jesuit college there. It houses an estimated 20,000 books (I’d guess there are more). When I was a schoolboy, I was taught that the free enterprise system was best because it forced corporations to compete to see which can best satisfy the needs and desires of we the people. School children today are taught that they need to learn to compete to see which can best satisfy the needs and desires of the owners of corporations. The so-called Islamic State (aka ISIS, ISIL or Da’esh) supposedly gets revenue by selling oil or by selling antiquities. How does the oil get to customers? Who buys the relics? How does the money get to ISIS? How does ISIS use the money to buy arms and supplies? Shouldn’t it be possible to cut off ISIS funding? Wouldn’t this be less costly and, more important, not result in the deaths of innocent bystanders? Britain’s secret ties to governments, firms behind ISIS oil sales by Nafeez Ahmed for Insurge Intelligence. 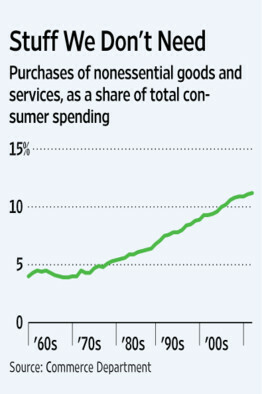 U.S. firms are involved, too. ISIS Export Gateway to Global Crude Oil Exports by George Kiourktsoglu and Dr. Alec D. Courtroubis of the University of Greenwich, London. The most significant thing about Pope Francis’ address to Congress is that it happened. During most of American history, a majority of Americans saw the Roman Catholic Church as an enemy of American freedom and democracy. Persecution of Catholic immigrants in the 1840s and 1850s was worse than persecution of Muslim immigrants today. This would be unthinkable today, and it reflects changes in both American public opinion and Vatican policy. The Founders of the American republic defined themselves in opposition to the absolute monarchs of Europe. The French Revolution was a revolution against the church as well as against the king and aristocracy, and, after the defeat of Napoleon, the Papacy aligned itself with the Holy Alliance, a union of Austria, Prussia, Russia to suppress any democratic uprising in Europe. Vatican policy for more than a century was based on opposition to the legacy of the French Revolution, and, as a result, all revolutionary movements in Catholic countries were anti-clerical. Catholics in Protestant countries were persecuted sometimes by law and almost always in public opinion. 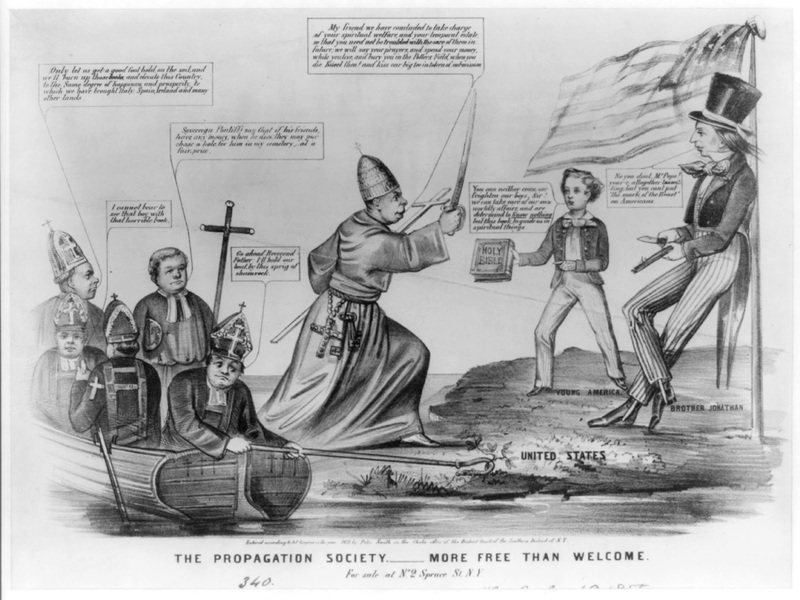 Poor Catholic immigrants into the United States had equal legal rights, but in the early 19th century were targets of mob violence, both because they were poor and foreign and because they were regarded as proxies for the Vatican. The Roman Catholic Church has been critical of capitalism since before “capitalism” was a word. This is old news. I learned it as a college undergraduate in the 1950s when I was studying economic history. The criticism of Catholic social teaching back then was not that it was radical or Marxist. It was that it was out-of-date. The Roman Catholic Church teaches that you should put the common good above your personal self-interest. Supporters of the free market claim that if people are free to pursue their own interests, the law of supply and demand will produce a result that is best for everyone. The medieval Catholic philosophers taught that people in business should charge no more than a “just price”—that is, enough to cover their expenses and provide a profit sufficient to live on. Supporters of the free market claim that if prices are allowed to rise and fall, the law of supply and demand will direct production to where it is most needed. The Roman Catholic Church historically has opposed “usury”—the charging of excessive interest rates. Supporters of the free market say that if you limit the return on investment, you will stifle economic growth. Ahmed Mohamed is a ninth-grader in Irving, Texas, who assembled a home-made electronic clock to impress his engineering teacher. His English teacher thought the electronics assembly looked like a bomb. Despite his attempts to explain, he was questioned by police, taken away in handcuffs and suspended from school for three days. Ahmed Mohamed intended people to react the way they did, in order to get publicity and discredit people who hate Muslims. He was a 14-year-old mastermind who knew the adults would react without thought or common sense. He is to blame, not them. Ahmed Mohamed’s dad, Mohamed El-Hassan Mohamed, is the leader of a small Sufi congregation. When Florida pastor Terry Jones held a mock trial of the Koran in 2012, he appeared to defend it. Being a high-profile Muslim is looking for trouble. 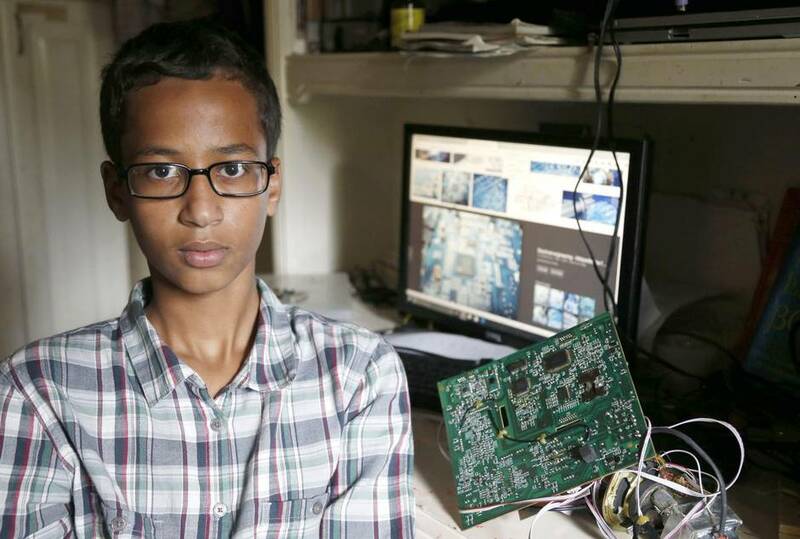 Ahmed Mohamed was not a genius, and his clock was nothing special. It may have been reassembled out of a disassembled existing clock. He does not deserve all the attention he is getting, which makes him a fraud. This is typical of what happens when there is an uproar over apparent injustice to a member of a minority group. 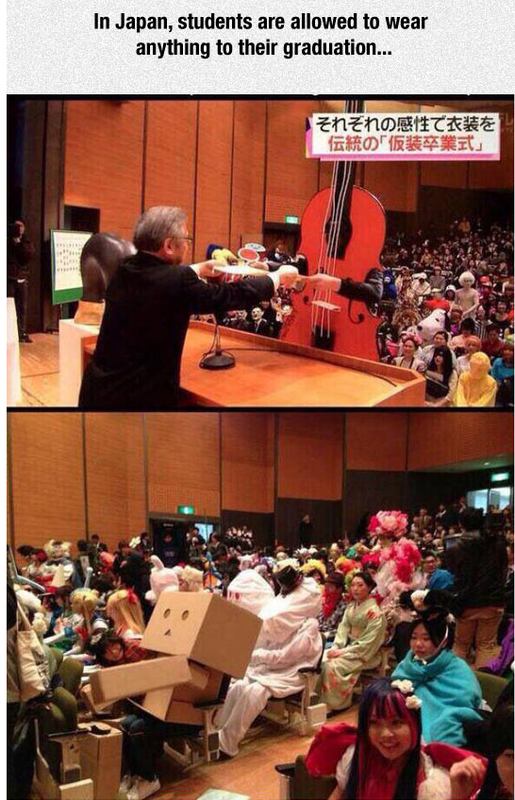 Thousands of people counterattack by changing the issue from what happened to the character of the alleged victim. They search the Internet for any information that can be used against the victim. 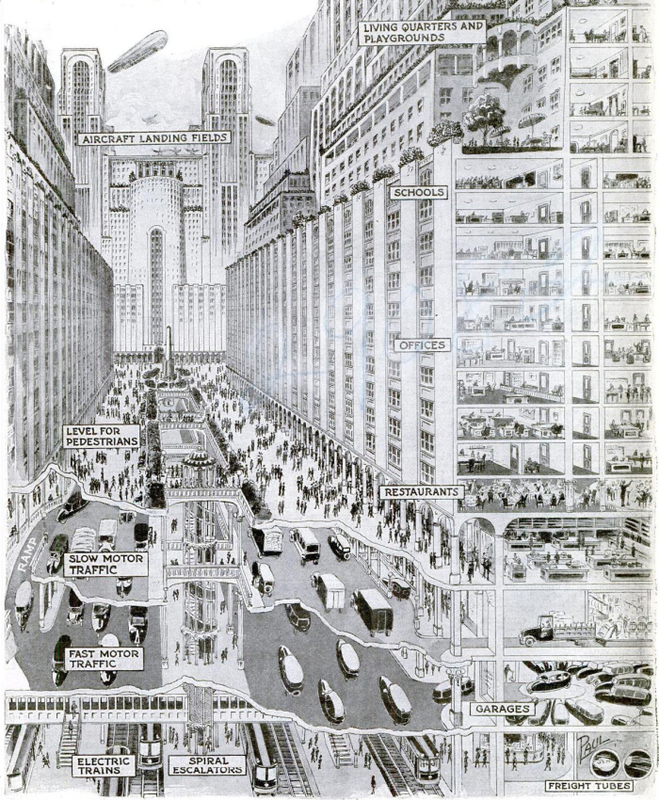 This is the city of the future, as imagined by an architect named Harvey Wiley Corbett in the 1920s. It was included in Gregory Benford‘s The Wonderful Future That Never Was, a collection of predictions from Popular Mechanics magazine. I lifted it from a blog post by Dan Wang, who teaches economics and philosophy at the University of Rochester and whom I’ve never met. 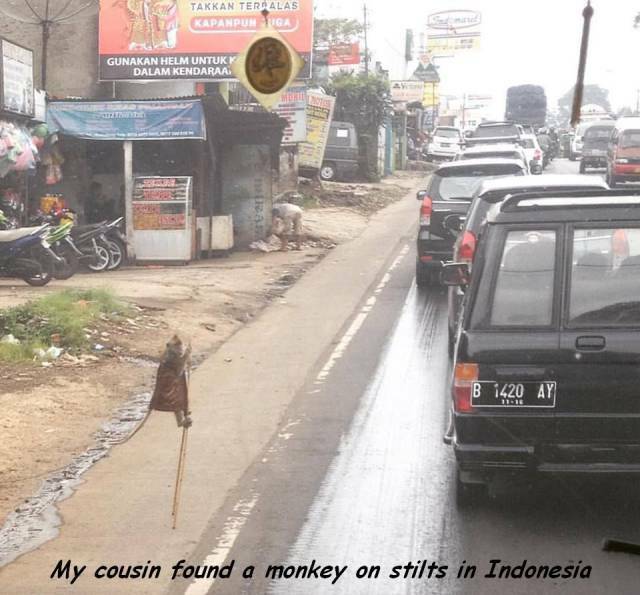 These are links from my expatriate e-mail pen pal Jack and his friend Marty. 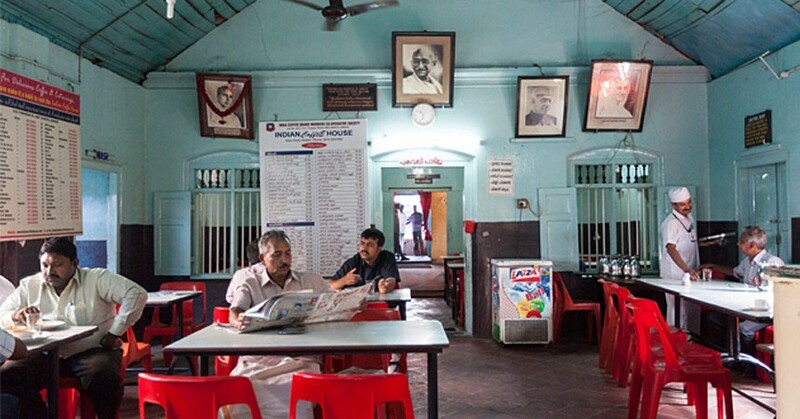 The Palaces of Memory by Stuart Freedman, review of a coffee table book of photographs of worker-owned coffee houses in India, by Peter Nitsch for The Cutting Edge of Creativity. Romney, Fiorina, Trump: who did the most harm? Last week a friend of mine wondered out loud who ruined more lives—Donald Trump, Carly Fiorina or Mitt Romney? After doing a little Internet research, I would say—probably Mitt Romney, possibly Carly Fiorina, but not Donald Trump. Mitt Romney was CEO of an investment firm called Bain Capital. It started out in 1984 as a venture capital firm; its most successful investment was the Staples chain of office supply stores. But from 1989 to 1999, it adopted a new strategy—borrowing money to buy existing companies, saddling the companies themselves with the debt while meanwhile giving Bain big consulting fees. Some of the companies collapsed under the burden of debt, some survived. 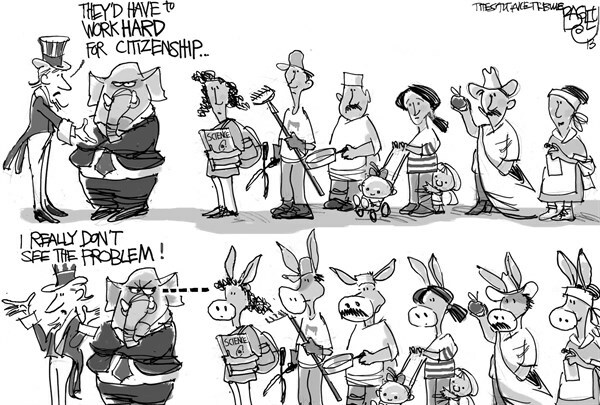 Having to service a big debt obligation probably tipped many into failure. Nobody would argue that it helped. 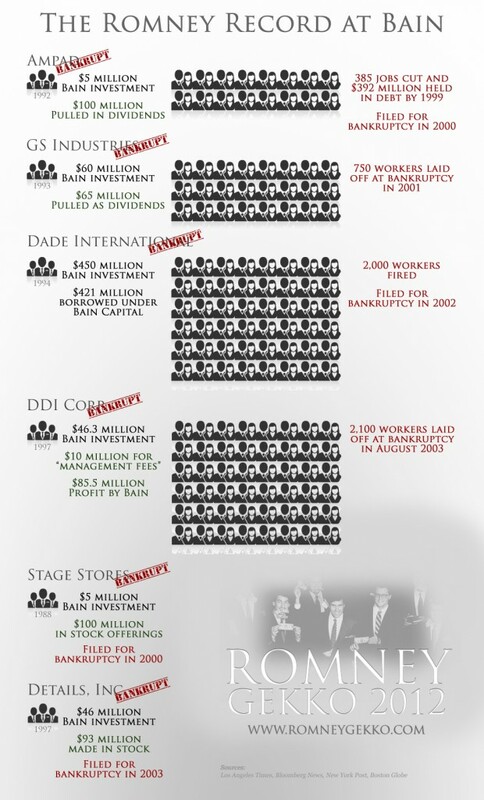 But Romney and the other Bain partners did well whether the companies succeeded or not. Carly Fiorina became head of Hewlett-Packard in 1999. Her most notable accomplishment was aquisition of Compaq Computer, which by most accounts didn’t pay off. The H-P board of directors fired her in 2005. The Boston Globe estimated that 30,000 employees were laid off during her tenure. On the other hand total jobs at H-P when she left were roughly equal to the combined H-P and Compaq employment in 2009. Donald Trump took his companies into bankruptcy—that is, reorganization under Chapter 11 of the U.S. Bankruptcy Code—four times. These were Trump Taj Mahal in 1991, Trump Plaza Hotel in 1992, Trump Hotels and Casino Resorts in 2004 and Trump Entertainment Resorts in 2009. In each of these reorganizations, Trump took a loss and gave up control. The businesses continued, and evidently there weren’t any big layoffs at the time. Trump Taj Mahal filed again for bankruptcy last year, but Trump no longer controls it. 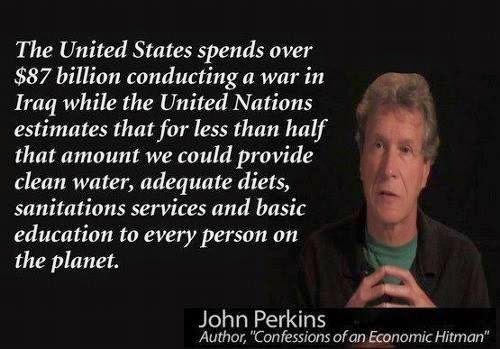 I read CONFESSIONS OF AN ECONOMIC HIT MAN by John Perkins on the recommendation of a fellow blogger known as Holden. Perkins wrote this memoir in 2004 about his work as an international economics consultant in the 1970s. He said his job was to intentionally make bogus projections of economic growth for Third World countries such as Indonesia, Ecuador and Iran. The idea was to encourage developing countries to borrow heavily to finance economic development projects using U.S.-based contractors. The countries’ leaders were promised that these projects would bring about rapid economic growth, and make their countries prosperous and modern. When the countries became unable to finance their debt, this created opportunities for American and international companies to buy up their national assets at bargain prices. And even when the economic development plans worked, they only benefited tiny elites while leaving the majority of the people just as badly off or even worse off. To stay in power, the elite accepted U.S. military aid in return for supporting U.S. foreign policy or hosting U.S. military bases or both. Perkins said he was in on U.S. negotiations with Saudi Arabia following the 1973 oil embargo, which led to the U.S.-Saudi alliance which endures to this day. In return, the U.S. Treasury Department invested the income from those bonds in infrastructure projects, all carried out by U.S. contractors, to give Saudi Arabia the appearance of being a modern country. The U.S. Defense Department provided a military shield for this weak, thinly-populated country against enemies such as Iraq and Iran. The problem, as I see it, is that it has made the United States hostage to Saudi ambitions to dominate the Middle East. The modern corporation is a structure that allows investors to maximize profit while limiting their individual losses. The Volkswagen emissions scandal shows that it also is a structure that enables lawbreakers to limit their individual accountability for their crimes. Because the corporation is treated by law as a person separate from its owners, the individual investors can’t lose anything more than what they put in. Any debts over and above that are swallowed by the creditor or absorbed by somebody else. When executives of a corporation break the law, it usually is the corporation, most of whose employees and owners may be completely innocent, that is penalized and not the individuals actually responsible. Volkswagen since 2009 installed software in 482,000 diesel vehicles to turn on emissions control systems when approaching an inspection station, but leave them off the rest of the time, which improved fuel economy and engine performance. Dirty-burning fuel sickened many people and made already-sick people worse. By one estimate, it caused the deaths of from 5 to 26 people in southern California alone. Installing such software is no easy task. Corporate executives would have had to sign off on it. News stories say that Volkswagen could be liable for up to $37,500 per vehicle, which would mean a penalty of $18 billion. That would be a big fine. 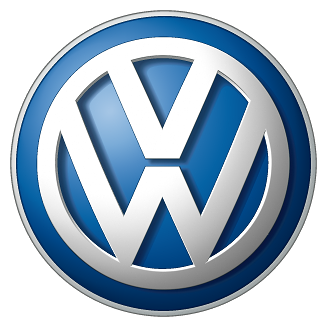 Last year Volkswagen reported a net profit of $12 billion on $226 billion in revenue. I would be surprised if VW wound up paying this amount. 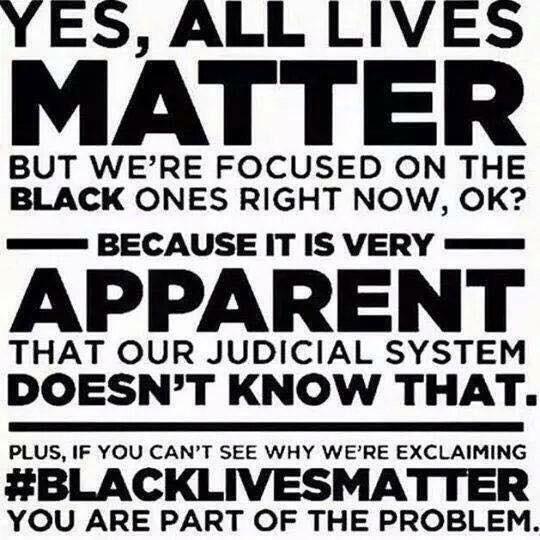 #BlackLivesMatter is not an organization. It is a movement inspired by Twitter and Tumbir accounts. The founders and leaders exercise no power over it. Its effectiveness—or lack of effectiveness—will be a test of whether decentralized and networked movements, enabled by social media, will be more effective than the hierarchical, disciplined organizations of the past. The Twitter and Tumbir accounts were launched by three black women friends in California—Alicia Garza, Patrisse Cullors and Opal Tometi—after the killing of the unarmed black teenager Trayvon Martin by George Zimmerman in 2013. Garza said they wanted to counter the idea that such tragedies were part of the nature of things, that there was nothing that could be done about it, except for black people to try to avoid behavior that would trigger violence by police and others. A protest movement sprang up around the “Black Lives Matter” slogan, following the killings of Michael Brown, John Crawford III and Eric Garner the following year. Garza, Cullors and Tometi found themselves the leaders of the movement, which, however, was an informal network they did not control. This was a very different kind of movement from the NAACP as I knew it in my youth—an organization where you joined, paid membership dues, elected officers in a chapter which in turn elected directors of a national organization. Or the Southern Christian Leadership Conference, which was run by black male ministers, who imposed strict standards of behavior on their followers. Vox news had a good summary of proposals for police reform by Campaign Zero, a brother movement to Black Lives Matter. I think it worth reproducing as a separate post. End broken windows policing. This refers to a style of policing that goes after minor crimes and activities, based on the notion that letting minor crimes go unaddressed can foster and lead to even worse crimes in a community. In practice, this tactic has disproportionately impacted minority Americans — in New York City, the vast majority of stops in 2012 were of black or Hispanic people. Campaign Zero proposes ending this type of policing by decriminalizing or deprioritizing public alcohol consumption, marijuana possession, disorderly conduct, trespassing, loitering, disturbing the peace, and spitting, as well as ending racial profiling and establishing mental health response teams that are better equipped to deal with mental health crises (which can result in, for example, disorderly conduct) than police. Community oversight. When a police officer engages in misconduct, the most likely organization to investigate the situation is the police department the officer comes from — creating an obvious conflict of interest. Campaign Zero proposes adding more community oversight over police by making it easier for citizens to file complaints and establishing civilian-run commissions that will help set policy at police departments and make recommendations for discipline following a civilian complaint. Limit use of force. Police officers are currently allowed to use deadly force when they merely perceive — albeit reasonably, according to courts — a deadly threat, even if a threat isn’t actually present. And police departments aren’t required to report uses of force to the federal government. Campaign Zero proposes authorizing deadly force only when there is an imminent threat to the officer’s life or the life of another person, and the use of force is strictly unavoidable to protect life. It also proposes changing police policies, including reporting and use of force standards. Independently investigate and prosecute. Following a police shooting, investigations are typically headed by the police department and the local prosecutor’s office, which has close ties to the police department — both of which create conflicts of interest. Campaign Zero wants governments to establish independent prosecutors at the state level for cases in which police seriously injure or kill someone, which would now require an investigation. The campaign also suggests reducing the standard of proof for federal civil rights investigations of police officers. Community representation. In some communities, the racial demographics of the police force are wildly different from the community they represent. Ferguson, for example, is about two-thirds black, but only three of 53 commissioned police officers were black at the time of the Brown shooting. Campaign Zero says police departments should develop and publicly release plans to achieve representative proportion of women and people of color through outreach, recruitment, and changes to policies. Body cameras and filming the police. Most police departments still don’t fully equip officers with body cameras, and many don’t have dashboard cameras for their cars. But recording devices have played a crucial role in holding police accountable — in Cincinnati, for instance, a body camera filmed a campus police officer’s shooting of Samuel DuBose, leading the local prosecutor to conclude that the shooting was “asinine,” “senseless,” and “unwarranted” before he pressed charges. Campaign Zero suggests equipping all police officers with body cameras, as well as banning cops from taking people’s cellphones or other recording devices without the person’s consent or a warrant. Training. Many police departments only require training on an annual or one-time basis, and the training tends to focus on use of force, not on deescalation or racial bias. Campaign Zero suggests requiring officers to go undergo training on a quarterly basis, with greater focus on addressing subconscious racial biases and other prejudices against, for example, LGBTQ people. End for-profit policing. In some jurisdictions, police are used by local governments as a revenue generator. One of the most damning findings from the Justice Department report on Ferguson is that the police department and courts issued fines and fees to help fill local budget gaps. Campaign Zero tries to eliminate these perverse incentives by ending police department quotas for tickets and arrests, limiting fines and fees on low-income people, and stopping police from taking money or property from innocent people, as they currently do through “civil forfeiture” laws. Demilitarization. The Ferguson protests captured nationwide attention after police deployed militarized equipment — sniper rifles, riot gear, camouflage, armored trucks, and chemical agents such as tear gas — against largely peaceful demonstrators. But police have this type of gear in large part because the federal government subsidizes it or gives it away to local and state police. Campaign Zero proposes ending the 1033 program that provides militarized equipment to police, as well as limiting when local and state police can purchase and use this type of equipment. Fair police contracts. Police unions have negotiated strong contracts for their officers over the past few decades, sometimes imposing big hurdles to investigations — such as the 48-hour rule, which prevents investigators from talking to an officer involved in a shooting until 48 hours pass. Campaign Zero aims to eliminate these types of barriers while requiring police departments keep officers’ disciplinary history accessible to the public and ensuring officers don’t get paid while they’re being investigated for seriously injuring or killing a civilian. Click on Campaign Zero for the original, more detailed version of these proposals. Exxon Corp. commissioned scientists to research climate change from 1977 to 1982. 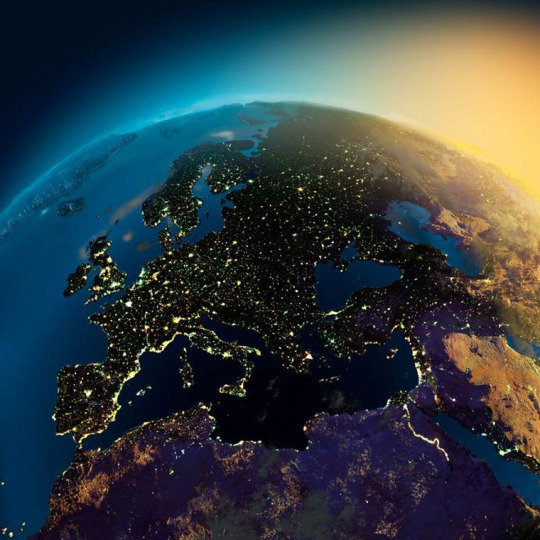 They concluded that fossil fuels were causing a buildup of greenhouse gases in the atmosphere that would change the climate, an investigation of Inside Climate News has shown. Top management hid and ignored the findings. There is a fine line between being willfully ignorant and lying. I think Exxon management crossed that line, and the world will suffer as a result. Exxon’s Own Research Confirmed Fossil Fuels’ Role in Global Warming Decades Ago by Neela Banerjee, Lisa Song and David Hasemyer for Inside Climate News. Exxon Believed Deep Dive Into Climate Research Would Protect Its Business by Neela Banerjee, Lisa Song and David Hasemyer for Inside Climate News. I received the following links from my expatriate e-mail pen pal Jack and his friend Marty. 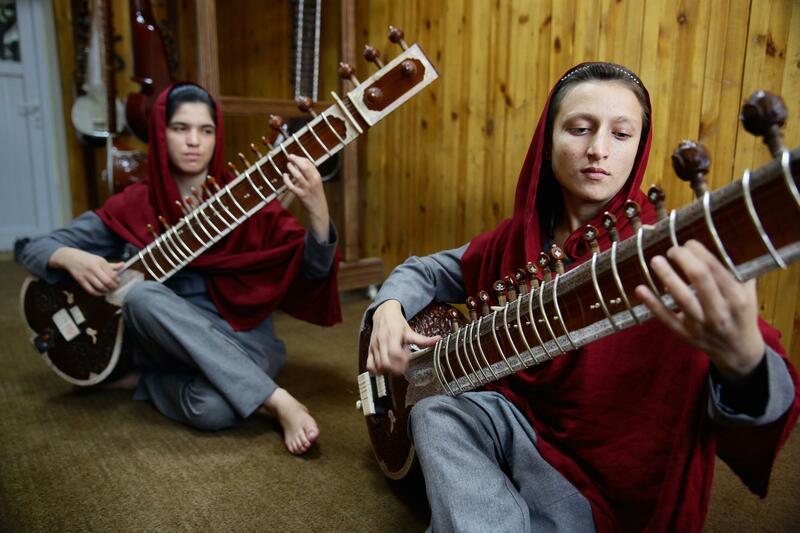 The Kabul college turning street children into musicians, a photo story in The Guardian. 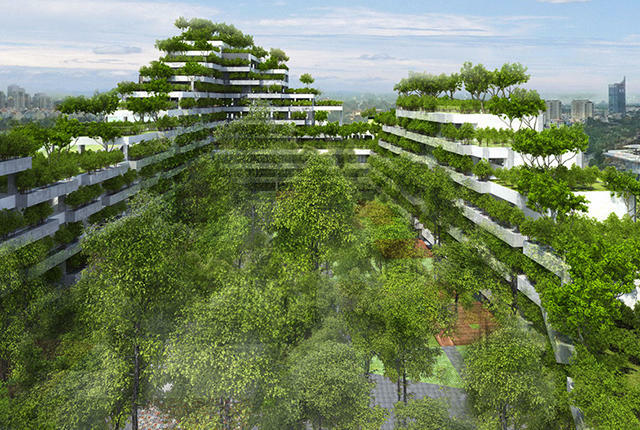 This Vietnamese University Is Turning Its Campus Into a Forest by Shaunacy Ferro for Mental Floss. 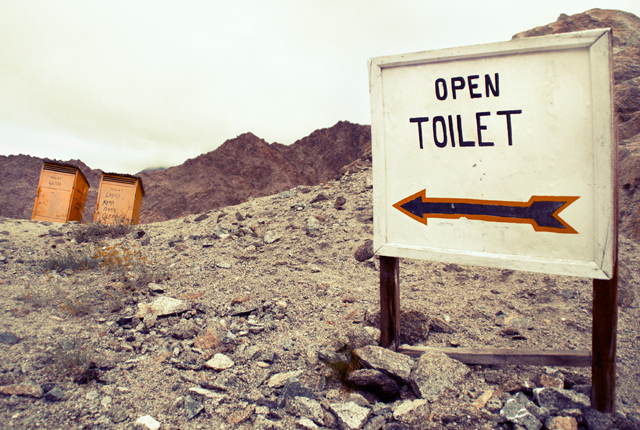 This Simple Toilet Can Improve Health and Safety by Kirstin Fawcett for Mental Floss. 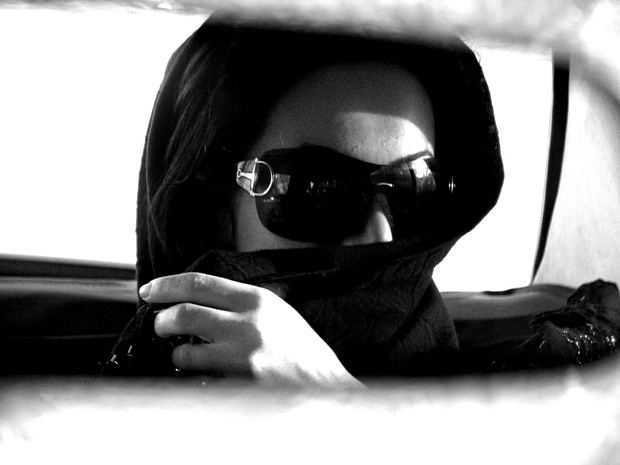 How the hijab has made sexual harassment worse in Iran by a Tehran Bureau correspondent for The Guardian.